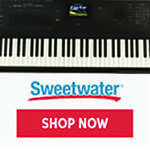 Register Log In Piano World Home Page Forums Digital Pianos - Electronic Pianos - Synths & Keyboards Kawai new model imminent - CA-65 replacing CA-63 ? 68 registered members (A. Lucato, Charles Cohen, Bett, Anticlock, akc42, agraffe, astrotoy, 15 invisible), 1,235 guests, and 4 spiders. Nice list. As you know I don't really agree with everything, but I notice that neither you, or I, said anything directly about the sound or tone. So let's add HPHI to the list? Hyper Progressive Harmonic Imaging. A question to those of you who currently own a ca63 or ca93: How is the connectivity to a pc or a Mac? Can you plug in a MacBook through USB, for example, and hear tracks from the Mac on the internal sound system of the DP, as you play along? Does the software on the DP allow for controlling a midi keyboard smoothly without a time lag or other issues? "It is reasonable to disagree, it is unreasonable to be disagreeable ... "
Sometimes, on any Forum, people go a bit too far. After all, like noses, we all have opinions. Yes, I had another list somewhere that mentioned The Sound. I do believe the Soundboard would be "nicer" and have a better tone than vinyl/cheap plywood. If nothing else, it would justify the higher cost. I've had a CA93 for about 1 year now. I record midi files from the kawai directly to my Windows PC using Cubase and a standard USB cable and it's a lot easier than using midi cables. Generally no problems but sometimes I need to turn off and on the kawai or restart Cubase if the two stop talking to each other. Instead of having to make the Virtual Technician settings, or when Layering two sounds using the CheekBlock, or any other settings possible with the CheekBlock. 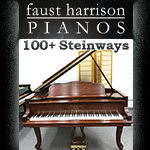 Have the ability to set a computer beside the piano and with a USB Cable, "talk" directly to the Firmware and Memory. Making the settings on the computer keyboard, which plops it into the piano. So essentially you'd be using a computer to control the CA's settings? Kind of. Sometimes, what someone can do on a Keyboard is alot easier and better than what one can do on a CheekBlock as on the CA93. So, view the Computer Program as augmenting the CheekBlock and as an accessory not a replacement. Case in point. You want to go on a long driving vacation with lots of stops for sightseeing etc. You have a GPS that can accept WiFi and Usb etc from a computer. They provide software that allows you to map out your trip with keyboard, mouse and a large monitor rather than fumbling around the onboard Led Touchscreen. Map out the stops and routes, Click The Button, and it is loaded into the GPS just as tho you keyed it in the hard way. As the settings and combinations will gain in complexity, a subordinate program may make our pianos alot easier to manage. Thanks for the additional explanation Jon. It's an interesting suggestion. A software-based registration/settings file editor may theoretically be possible, however I'm not sure if 'real-time' control over the instrument could be achieved with the existing hardware. Thanks! That's good to know. The ideal solution would still be to be able to hear the tracks one has recorded from the internal sound system of the DP when its connected to the PC, I think. That way one could make do solely with the headphones on. Cause you have to listen to the music from the PC in your headphones, and play on the Kawai with the speakers on? I know that Casio AP-620 has this feature - the software on the DP recognizes audio output from a connected device and can "blend it" in the mix - so thats why I'm asking. But I can solve this problem with a "sound box". It's just a bit more hassle, and a bit more expensive. Bouletbille, I realize that I misunderstood you. You proably hear both your recorded tracks and the new track that you're playing on the kawai through your pc, right? That makes sense. And that way the problem's actually solved! No, not Real Time. Just a useful way to make settings etc alot easier. Then, unplug the cord, turn towards the Piano, and use them. Would also be a neat way to provide backup. Updates, to the Piano's Firmware would be made the usual way. Updates to the Computer Program would be Downloads from the Net. Next Stage after this one? Mine's an MP10, but it's the same connectivity options. If you're referring to MIDI then yes, you can send MIDI commands from your MacBook through USB and play along. If you want to send audio (say an MP3 you want to play along with) then you can do that too, but not through USB. You'll need to take your MacBook's audio out and hook it up to the ca93's line in. Still, both can be done fairly painlessly. The MP10 can play MP3 files directly from USB memory too. Still, as there are speakers that connect to the PC through USB, it would be nice to be able to use the Kawai CA65's speakers through the USB connection. A lot more simple, especially since laptops don't have audio out ports other than headphone. Last edited by Bogs; 05/29/12 03:04 PM. Yes, that would be pretty handy. However, I don't believe it's possible with the current hardware. The 'USB to Host' connector is intended for sending/receiving MIDI, while the 'USB to Device' connector can only be used for loading/saving data to USB. It's true that most laptops do not feature proper Line Out connectors, however I suspect for most uses, the headphone output into the instrument's Line In will be perfectly fine. So there we have it. HIXL usurps the throne previously held by UPHI. So the marketing surrounding the new ES7 declaring it as the best thing since sliced bread cannot be justified, since it now uses a sound engine (PHI) two generations removed from the latest. Unless these acronyms mean absolutely nothing, Kawai has cemented the policy of rationing their sample sets so that those who want portable machines are stuck with lower quality. Gee, thanks Kawai! Sorry for the OT rant, but I for one am very tired of this kind of thing. Many people on this forum (including me) have commented on the shortcomings of the current PHI samples, but it seems that Kawai has a certain amount of disdain for their gigging customers. However, those who are privileged enough to receive the blessings of HIXL - i.e. 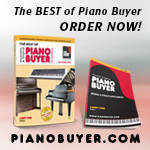 home and college users, will probably enjoy a significantly improved and more detailed piano sound. I hope it is true. But for me and my needs, other manufacturers are looking more attractive right now. So the marketing surrounding the new ES7 declaring it as the best thing since sliced bread cannot be justified, since it now uses a sound engine (PHI) two generations removed from the latest. Unless these acronyms mean absolutely nothing, Kawai has cemented the policy of rationing their sample sets so that those who want portable machines are stuck with lower quality. Gee, thanks Kawai! Sorry for the OT rant, but I for one am very tired of this kind of thing. Many people on this forum (including me) have commented on the shortcomings of the current PHI samples, but it seems that Kawai has a certain amount of disdain for their gigging customers. Good point. You have to give credit to Roland and Casio, who in effect equip all or certainly most of their pianos with the best sounds they can make at the time. Kawai still use the old, old, old Harmonic Imaging engine in a couple of their cheaper models - and it is really so far behind the curve as to be embarrassing.